Yes. We're a little late with our latest Caption Contest, but don't worry, EVERYBODY'S FINE. 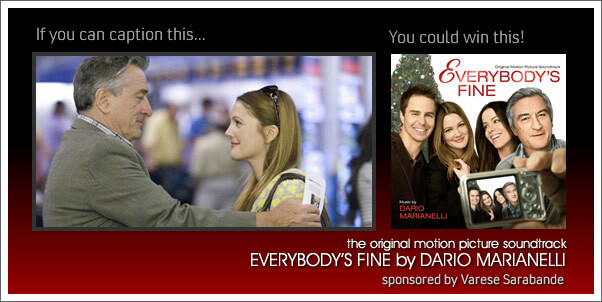 Here's your chance to win composer DARIO MARIANELLI's bittersweet score for this a-typical, family, Christmas flick. Simply lay down your three best caption entries for the image above. Just what Robert Deniro be saying to sweet, little Drew Barrymore? We have no idea. We're looking to you to give us a good holiday laugh.